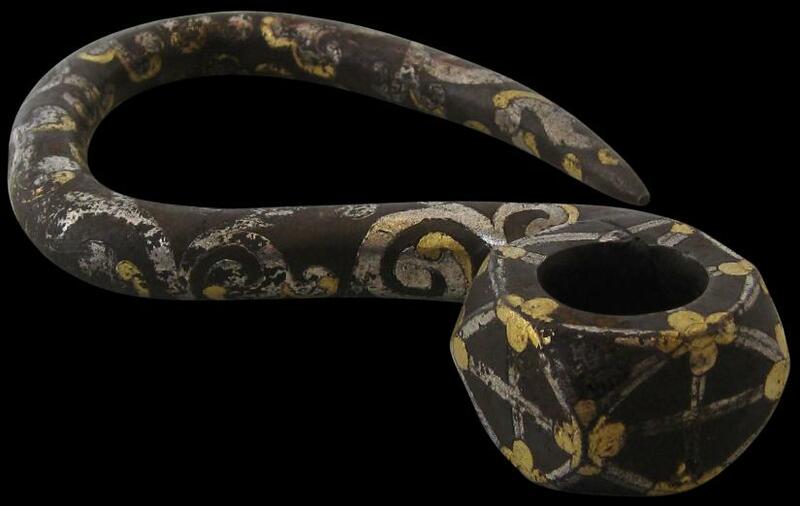 This ritual iron hook with a large eyelet at one end is overlaid with gold and silver in scrolling tendril motifs and with cross motifs about the eyelet. 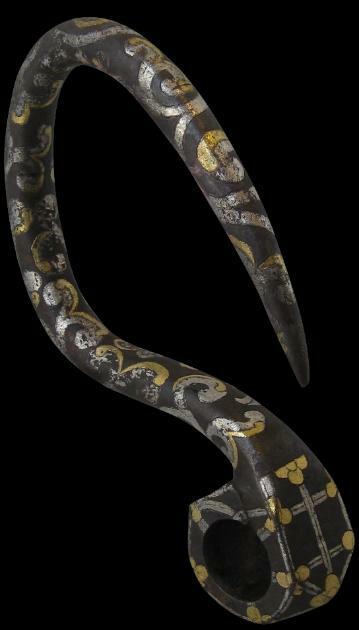 It is most probably based on the vajrankusa, a Tibetan ritualistic implement that in turn is based on the Indian elephant goad or iron hook used to control and steer elephants. 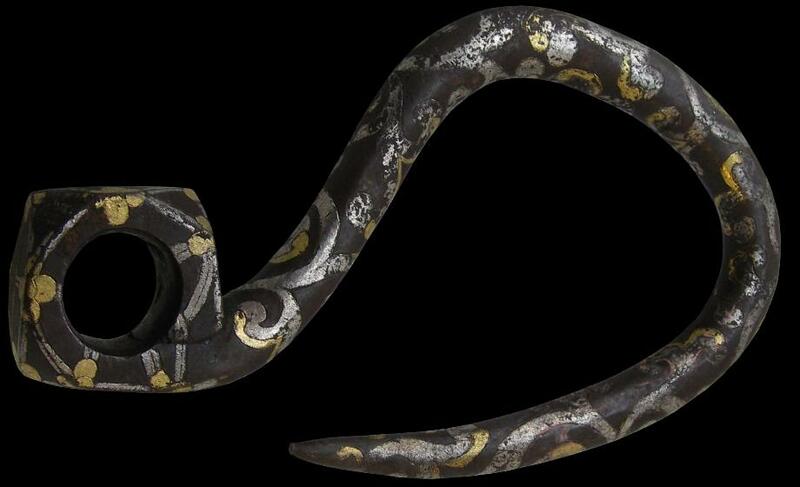 As a work of art, this hook has much presence and a superb sculptural quality.